Remember what it was like to leave the house before your baby came along? Those easy, breezy days of grabbing your handbag and waltzing out of the door may be a distant memory, but there’s no need to make heading out with bub too complicated. We’ve found six really clever baby products that will make your life on the road just that little bit easier – including the world’s most compact stroller. Having at least a couple of these smart products in your outing arsenal will give you the upper hand when it comes to toting your tots while out and about. There’s precious little worse to make or break your day out than getting around with a tired, cranky baby. Even if you think you’re only going to be a few minutes, children have an uncanny knack for being uncooperative at the best of times. So having a stroller stashed in your car is a great insurance policy against mini meltdowns. This record-breaking beauty actually holds the Guinness World Record for the most compact stroller. The GB Pockit Stroller measures a tiny 30cm x 18cm x 35cm when folded – and it’s also really light (just over four kilos). It’s a brilliant stroller to have handy if you catch public transport, or are travelling by plane. It’s the ultimate holiday travel companion if you have kids because it’s suitable from six months to 17kg. The Pockit Stroller is available exclusively from Babies R Us for $399.99, and pre-orders are being taken ahead of its arrival in early June. Some babies adore car travel – for others it appears to be a form of torture (for everyone in the car!) Mastering the art of distraction is a huge part of parenting, but trying to distract a screaming child while driving just isn’t possible. Lucky there’s something that can do the job for you. The Brica Baby In-Sight Magical Firefly Mirror ($59.99) is a bit of a secret weapon when it comes to travelling with a baby. 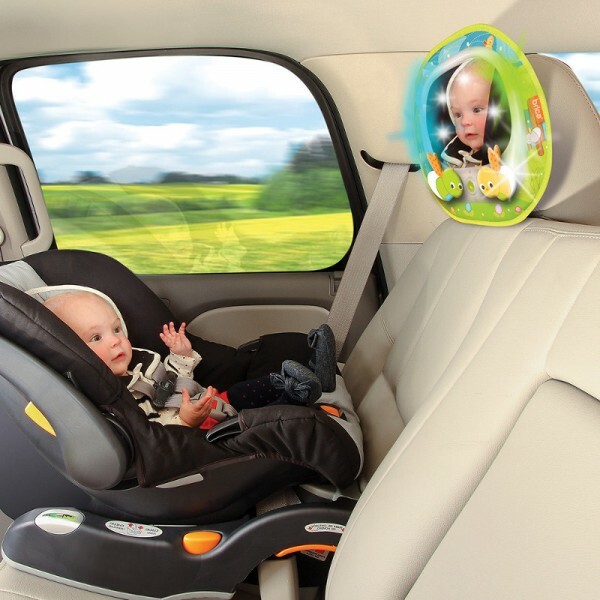 It soothes, distracts, entertains and even allows you to keep your eye on your baby while driving. While in the entertaining mode, shapes and patterns of light appear behind the mirror along with songs, to keep baby’s focus. If you’d prefer your baby was in wind-down mode, switch it to soothe and it will play relaxing music with soft, twinkling lights. It also comes with a remote so the music, lights and volume can be easily adjusted. The shatter-resistant mirror has been crash tested, and has been designed to provide a distortion free image of your baby. There are times when you need to be hands free while out and about, and a stroller just won’t allow for that. A bush walk, picking up the kids from school or shopping in tight spaces calls for the use of a baby carrier. Your best bet is to buy one that’s suitable from newborn, so you’re ready to go from day one. The Manduca Organic Baby Carrier, priced at $169.99, is easy to use and comfy for your bub – seating them in an orthopedically correct position. The built-in insert makes it suitable from birth, and it’s been endorsed by the Australian Breastfeeding Association. The Manduca can be used as a front, hip or back carrier (when your baby is at a suitable age), and much of the weight is distributed to the wearer’s hips so it’s comfortable for long periods of time. Throw this carrier in your boot and you’re sorted for hands-free toting on the road. Overnight trips are a cinch if you’ve got your own portable cot – there’s no need to ask ahead if your accomodation has a cot available. My family’s portable cot has done the rounds of grandparents and friends who have looked after our children, and it was easily one of the best baby product investments we made. It means your child has somewhere familiar to lay their head, even if they’re in an unfamiliar surrounding. The Steelcraft 4-in-1 Portable Cot has been designed to grow with your child – as a bassinet for newborns (it even has a musical mobile), a change table and a play cot. 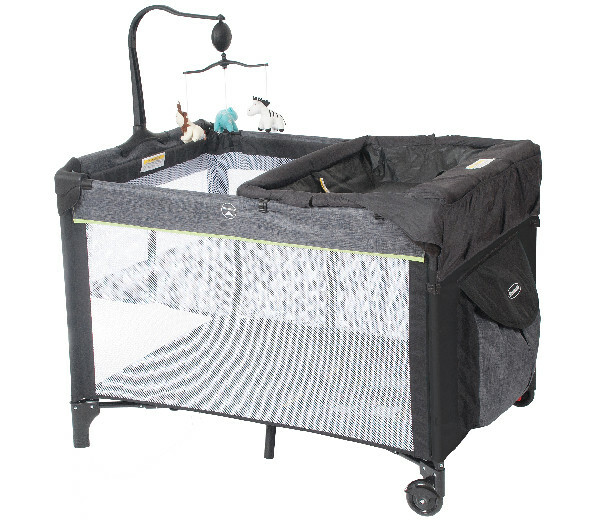 There are plenty of safety features including a childproof side rail locking mechanism, a base lock, large mesh sides for ventilation and so you can peek in without disturbing your baby, and castors with brakes. It retails for $224.99, and can easily be packed away for storage – or to pop in the boot for camping or trips away. A child harness isn’t everyone’s cup of tea, but for those with toddlers who love to wander, they’re a lifesaver. Particularly if you’re heading into a crowded area, like a zoo, where it can be difficult to keep your eye on a lightning-quick child. 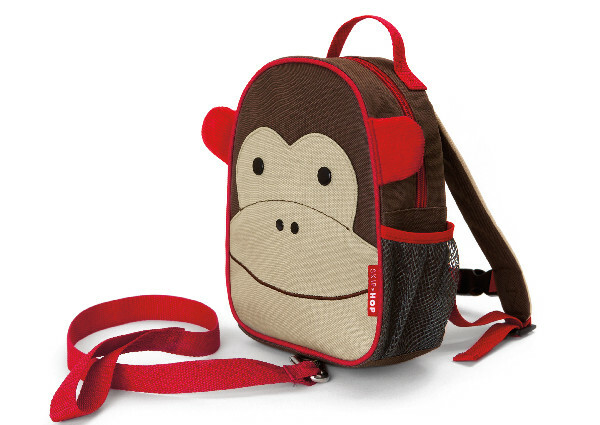 Gorgeous Skip Hop Let Harnesses ($29.99) are mini backpacks with a rein attached. So your little one will feel super important as they carry around their own drink and lunch in their backpack, and you’ll be able to keep them within arm’s reach by using the rein and wrist strap. Once your baby is sitting up, they become really interested in the world around them – and this is obviously heightened when out and about. That’s why our final baby product is pure gold for eating out – it’s the phil&teds Lobster Portable High Chair ($79.99). Curious name, but it’s an absolute champion when you want to be able to enjoy a meal with your little one. It means they’re seated with you, at table height and within easy reach. They can engage with everyone, and you can keep on eye on them while they’re eating. It such a handy product to toss into the boot of the car – particularly if you’re headed to a friend’s place and you’re not sure if they’ll have a spare high chair. 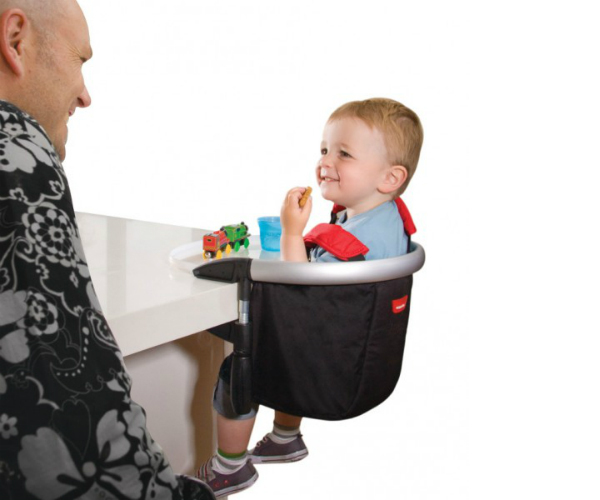 It’s almost impossible to keep a baby still and seated without one – but this gem will keep them happy and confined! When it comes to stepping out with your baby, it’s all about being prepared. Take a look at Baby Guide On The Go for more great ideas on how to make outings with your baby so much easier.